Aoife is the daughter of Daniella Curran and Emmet McDonough-Brown of Belfast, Northern Ireland. 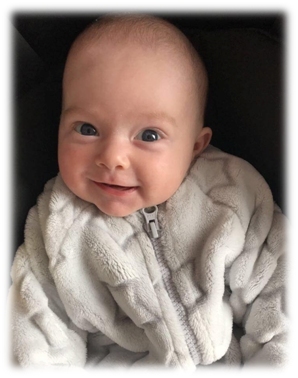 She was born February 4, 2018 at the Royal Victoria Hospital in Belfast and weighed 4 pounds 13 ounces. Aoife is the granddaughter of Michael and Maisie (Tinneny) Brady of Emyvale, County Monaghan, Ireland and the great-great-great granddaughter of Francis Tinneny of Goladuff, Newtownbutler, county Fermanagh, Northern Ireland.